With its elegant curves and simple, yet highly functional features, the Tilt Juice Dispenser is a perfect addition to any high-volume buffet setting, allowing hotels to provide guests with a seamless drinks serving experience. Available with or without the innovative cooling system, the eight-litre glass vessel is designed to fit perfectly into the stainless steel Tilt riser range, meaning you can adjust the height to suit your glassware. 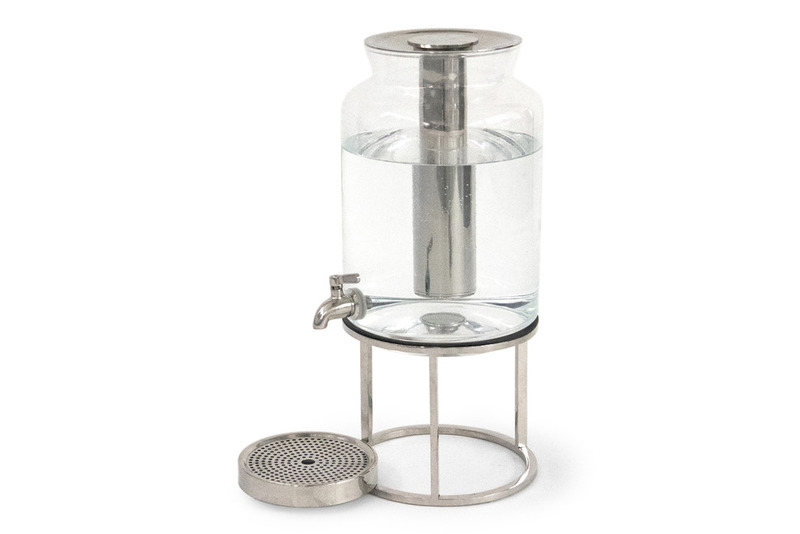 Keeping liquids cool for up to four hours, the dispenser also has an intelligently designed drip tray which locates easily onto the riser for enhanced stability. Length: 218 mm / 8.6"
Width: 348 mm / 13.7"
Height: 322 mm / 12.7"